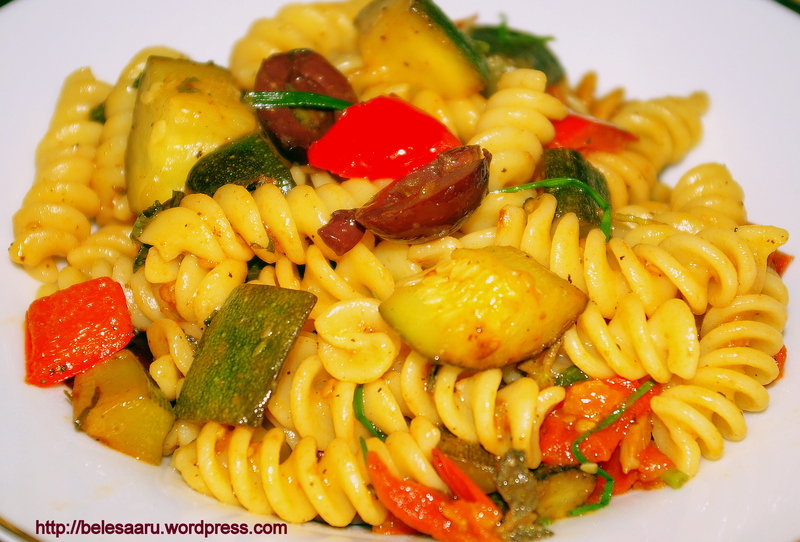 A simple yet delicate flavored vegetable pasta salad. I have subscribed to a vegetarian magazine which comes once a month, I always keep waiting for a new issue to try recipes and this one is one from the magazine. It’s so refreshing and filling! Bring a large pot of lightly salted water to boil. Add pasta and cook until al dente. Drain and rinse thoroughly to cool. Rinsing also helps to make the pasta not stick to each other. Transfer to a large bowl and toss with 1 tbsp olive oil. Heat the remaining 2 tbsp of olive oil in a pan and add garlic cloves, zucchini and stir fry for 3-4 minutes on high heat. Add bell pepper, tomato, scallions and salt. Cook until all vegetables are slightly crispy. Now add the pasta to the vegetables and toss well. Finally add red wine vinegar, oregano and basil mix well and serve. Can we use bow type pasta instead of rotini? You do can use bow type pasta. Just keep in mind, pasta tastes good if the vegetables are cut according to type of pasta used. If you are using bow type pasta make sure you cut the vegetables small. 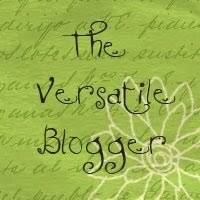 Top web site, I hadn’t come across belesaaru.wordpress.com before in my searches!